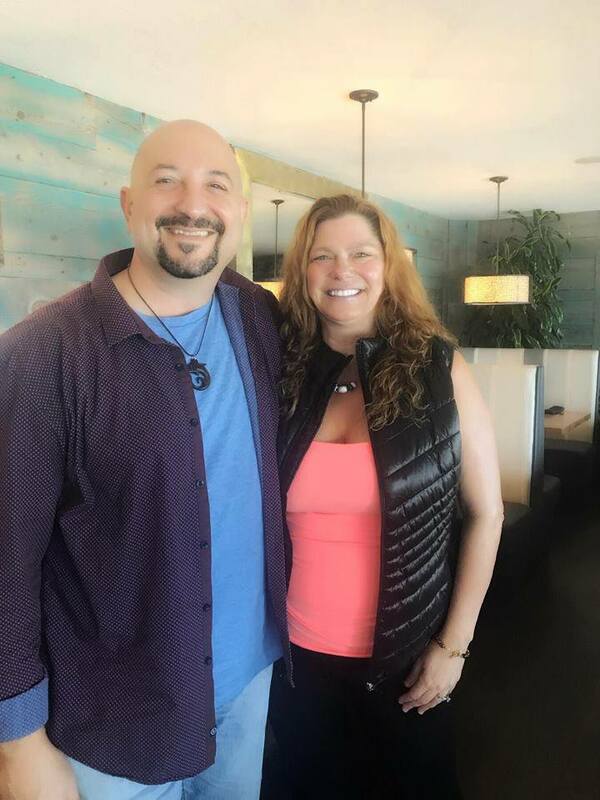 My Journey in Transcending the God Matrix with George Kavassilas. I have to start with saying just meeting George face to face in physical form was already intense for me. We have had this very deep soulful connection since we met. I thought the moment that I was standing in front of him I would breakdown and sob. I anticipated that I wouldn’t even be able to speak. Not, because I have George on a pedestal, but he is my broSTAR, and this was a family reunion. Surprisingly no tears fell. We embraced and I had an experience that I have never felt before when connecting with another human being. When our energetic bodies connected I felt a vibrational connection that literally shifted my frequency. It felt like a calibration was occurring and it wasn’t intrusive it was more expansive and liberating. I was home with family and that soul energy was moving through all of the cells in my being. It was simply love in the purest form possible. Now day two is a whole other story. I arrived a day before the event started so that I could get settled in. Day 2 for me is day 1 of Transcending the God Matrix. I had shared with George when we first talked back in 2014 that I had this memory and it was unfolding before my very eyes. As I was sitting in my chair I said if George is wearing Khaki’s this is just another confirmation of my memory and there he is in Khaki’s. There were many Déjà vu moments throughout this entire process. A lovely man created music CD’s that he was gifting to us all. I had another moment and I was like if there is a song on this CD that says we are all one, here comes another remembering being confirmed. I turned it over and there it was. I remember Co-Creating this whole experience. As George began sharing his wisdom the tears started to flow and continued to flow every day that we all came together. This whole process was about remembering and being the Divine Infinite Creators we all are. Every day in every moment I was remembering and becoming more empowered. At one point George said to me, Patricia your Greater Being is screaming at me. Lol! This is so funny, because it seems my Greater Being communicating with others is very expressive. I have heard this more than once. So he had me come forward and participate in an exercise of closure. A space had been created with so much love and support by George and with all of the other beautiful beings that were there sharing in this experience. I was able to be vulnerable, transparent and trusting which doesn’t come easy for me and is something I have been working towards for the last few years. It was a beautiful experience and I was surrounded by unconditional love. The days were filled with authentic expressions of divine wisdom by all. 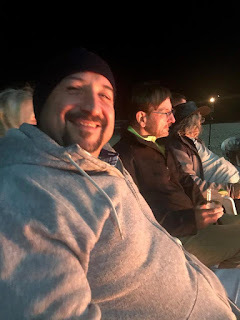 We had sessions on the beach in Monterey Bay California, and sat around a bonfire injyoing one another and connecting to ancient soulful relationships. 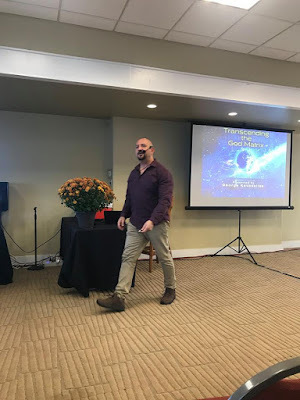 George shared exercises from his own personal experiences with us daily that helped us remember how to connect to our Divine Infinite Nature and how to live as the Creators that we are. 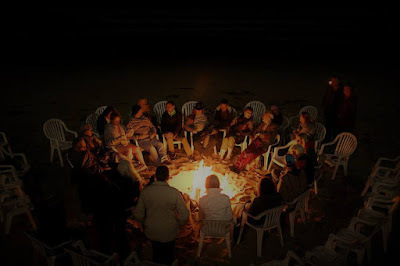 How to stay connected with the Organic Nature of The Prime Creator of this Universe and our roles as Co-Creators. This course is about remembering, empowerment, owning our original intention/divine will in creation. Honoring our agreements and bringing closure where closure is needed. What I personally experienced was a remembering of being a Prime Creator in this Universe, meaning I was here in the beginning. I am here at this time for my birthing process that is taking place. Though I have experienced a quite dramatic life, it is exactly the life that I created and wanted to experience. I have never felt like a victim, and some have thought that I had Stockholm syndrome, or that I was just not facing the trauma, but that is simply not true. That stems from one’s own unhealed traumas and I do innerstand that, but I have faced all aspects of myself and I know myself well. I have done my shadow work, I have gone through the process of acknowledgement, gratitude, reconciliation, embracing and releasing. That has been my focus for the last four years. I am not trapped, or here against my will. This is not a prison planet to me. There is a Matrix and A.I. that I know I have played a role in Co-Creating. I don’t fear it. I will live out my timeline as it is divinely appointed and I will return home. So much fear is being generated at this time to distract us from Remembering Who We Are, and all we have to do is refuse to play that game. We can’t be Infinite Sovereign Beings and be trapped or held against our will. That is a contradiction, which really is a lie being told to disempower and create rage. George and I became friends years back, which really was a reconnection with soul family and he is a brother to me. George has always played a role of empowering me and confirming what I already knew to be true inside of me, but felt like if I share this with the world they will think I am crazy. Well, today I embrace crazy like a badge of honor. I have so much love and gratitude for the beautiful space that George created, and his dedication every day to be present and support every being in the room. The love this man has for humanity, and all that is in this Universe is not even definable by words. I also want to thank everyone for the experiences we had with one another. There was so much authenticity, so much love, so much respect and appreciation. I am Infinitely Grateful and very aware of who I am. There was indeed a transformation in Transcending the God Matrix.